I left Yamanashi for Tokyo by 1st train this morning. And after having dropped in at my apartment and the office for the preparations for a business trip shortly, then I left Narita for Dallas. I got DFW at 17:00, but I had to be present at the meeting at 18:00 in the hotel at down town Dallas. Therefore I chose Uber for the transportation to the hotel. This was indeed a good decision, so I got the hotel before 18:00. 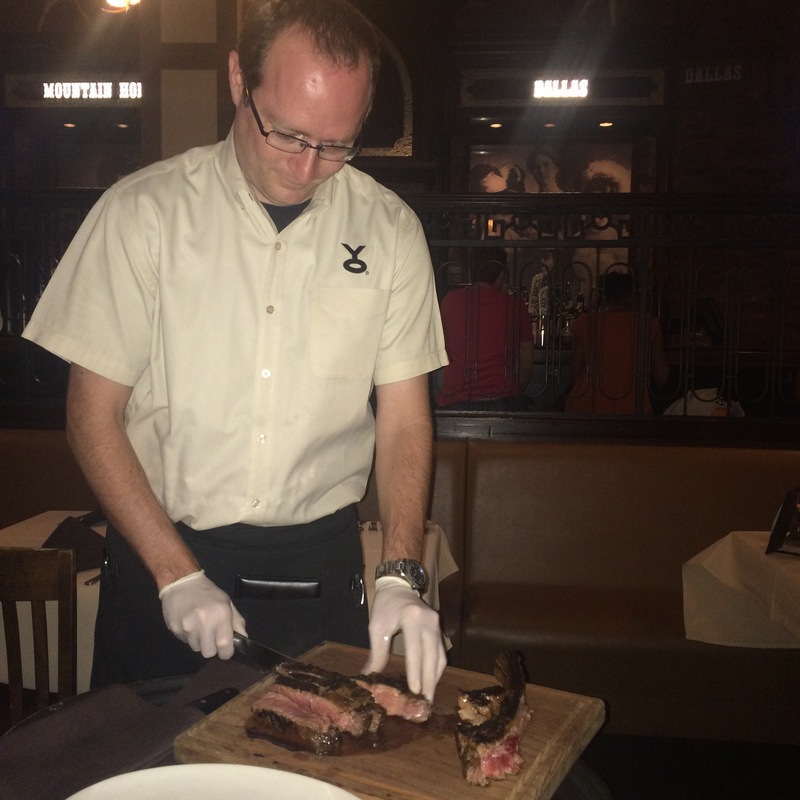 To save energy for the grueling week of IEEE802.11 plenary, I shared Texas steak with my friend tonight at Y.O.Ranch Steak House. 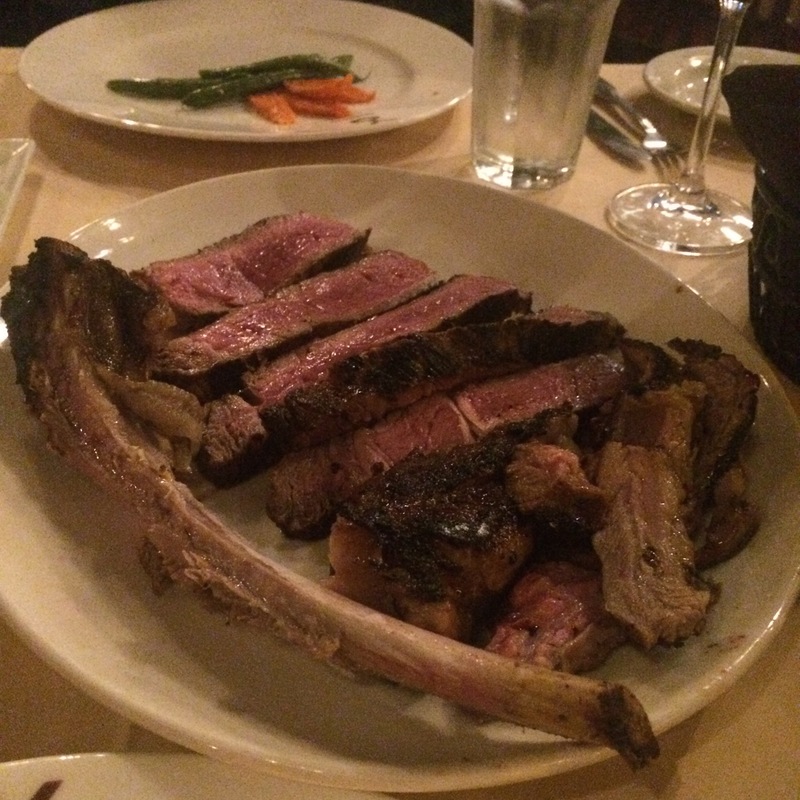 The Tomahawk Ribeye is a T bone steak and usually it is 38oz. Fortunately or not, they had only meat of 32oz tonight. However, it was just fine for three typical Japanese guys. So for this size, we enjoyed the sweet dessert too.